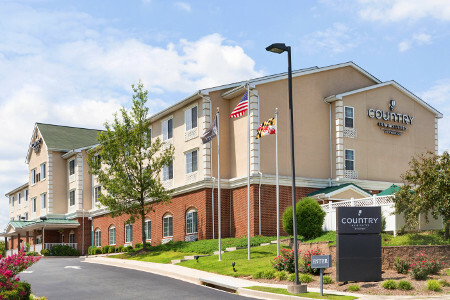 Book a stay at the Country Inn & Suites® by Radisson, Bel Air/Aberdeen, MD to be near the government offices at Aberdeen Proving Ground or the baseball fields at The Ripken Experience and Cedar Lane Regional Park. Our location off I-95 near Exit 80 makes us ideal for business travelers, families and sports teams seeking a convenient place to recharge between meetings, sightseeing and tournaments. Attend meetings at the Army Research Laboratory or the new C4ISR office complex, and then make time for fun in Baltimore, a 30-minute drive away. When you return, you can get a good night’s rest in one of our spacious rooms with free Wi-Fi. Before heading out to explore the Concord Point Lighthouse or meet clients at General Electric, fuel up on our free, hot breakfast. To accommodate your hectic schedule, we also offer our round-the-clock fitness center and business center. Our secluded outdoor pool makes it easy to unwind after working or playing in Aberdeen, Riverside, Edgewood or the greater Baltimore area. Need a bit more space? 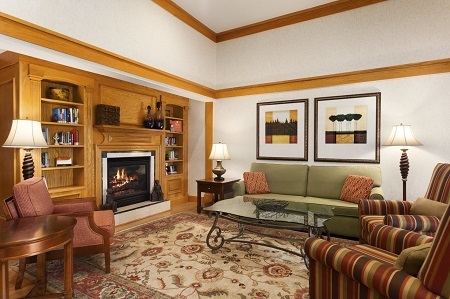 Choose the One-bedroom Suite, which features a living area and a separate bedroom with an additional TV. Wake up every morning to waffles, omelets, biscuits with gravy and much more at our free, hot breakfast. If hunger strikes throughout the day, help yourself to cookies, coffee and fresh fruit, available 24 hours a day. For lunch or dinner, you can walk to nearby restaurants like Cracker Barrel and Riverside Pub & Grille, or drive into downtown Baltimore if you’re in the mood to try one of the restaurants in Little Italy or Inner Harbor. Cedar Lane Regional Park – Walk, jog or bike the training path or watch a team play on one of 13 fields at this multi-sports city park. You can drive to Cedar Lane in less than 10 minutes. Concord Point Lighthouse – Explore this dramatic Chesapeake Bay landmark, built in 1827 and still operating. Admission is free April to October, and the waterfront promenade is yours to stroll anytime. To get there, drive 20 minutes northeast of the hotel. The Ripken Experience Aberdeen – Witness the future of baseball at this seasonal youth tournament complex that recreates famous sports venues like Wrigley Field and Fenway Park. It’s a 10-minute drive northeast of the hotel. We offer extensive space and support for family gatherings or sports team meetings of up to 40 guests. Coming to the area for training at a nearby government agency? 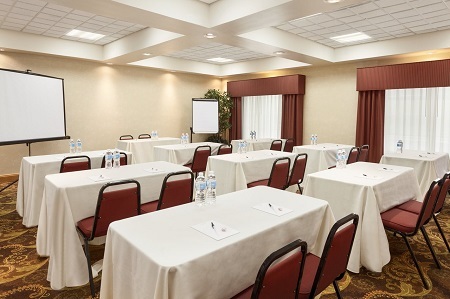 Ask about our special meeting rates and benefits for government travelers. In cases of emergency, disaster or inclement weather, this hotel in Maryland is geared to accommodate.